Would you like to be able to write well? Want an effective way to achieve that from the inside out? Writing is a skill that takes practice and dedication. You need to write something every day, letting the words flow naturally, being brave enough to be yourself while having the sense to edit your work until it's just the way you want it. 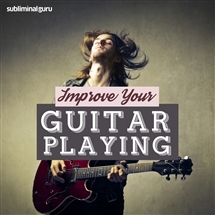 With the Become a Writer subliminal session, you'll set your creativity and imagination on fire! As you listen, thousands of powerful positive affirmations will reprogram your mind, helping you think like a writer. You'll be brimming over with story ideas, able to put words together in meaningful ways. You'll write clearly and succinctly, finding the power to express yourself and take readers on an amazing adventure. 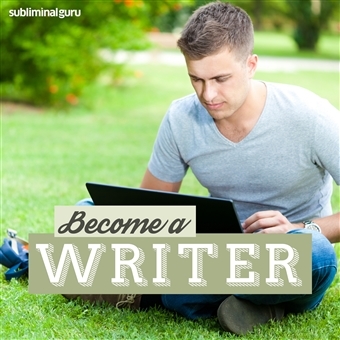 Download the Become a Writer subliminal audio now to unleash the talented writer within. I am a terrific storyteller. Putting words together is easy for me. I create characters quickly and easily. My mind is full of words and story ideas. I always find something to write about. I am devoted to my writing craft. I practice writing every day. Writing helps me express myself. Writing is second nature to me.